FORGIVENESS NOT EASY BUT IT’S THE BEST | Coach Herbert -Touching lives,inspiring and mentoring through the written and spoken word!. 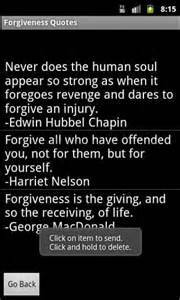 If you’ve made mistakes, forgive yourself and go on. There is nothing you can do now to change the past, but you can affect your future. Forgiving yourself takes the pressure from you for not being perfect. And, it gets rid of guilt. You must learn to forgive yourself before you can forgive others. We are all on a journey through life. Sometimes we make mistakes, which is part of a normal process on this journey. The mistakes that we make can result in painful experiences; these are the “lessons of life.” But, it is through these trials that we learn the most. The key is learning something from what has caused you pain so as not to repeat the same mistakes again. Walk away from this situation with the knowledge that you are stronger and smarter. Forgiving will open that door. Harbouring negative emotions can make you bitter and resentful. It can and will permeate all areas of your life and it makes it more difficult to enjoy today. Not forgiving keeps you trapped exactly where you don’t want to be… holding onto memories of the past. Every time you begin to think of this person; what they did or didn’t do, what you said or didn’t say, consciously release them from your mind. Let these thoughts go and fill your mind with thoughts of goodness and the things that you are looking forward to experiencing in your life. Gaining control of your thoughts, releasing all the negative memories and releasing all the imagined confrontations you could have with this person will be the beginning of letting go of what is behind you and moving on to a better future. You can’t change the past but you can make a significant difference in how you approach what’s ahead of you. Stay focused on the positive. Stay focused on what you want, not on what you had that didn’t work. 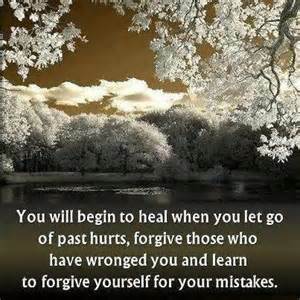 Once you find forgiveness you will regain control of you life. It’s your choice! ← WAITING PATIENTLY FOR LOVE-Boaz.